IDW’s massive success October Faction is coming to us from Netflix in a 10 Episode mini-series. 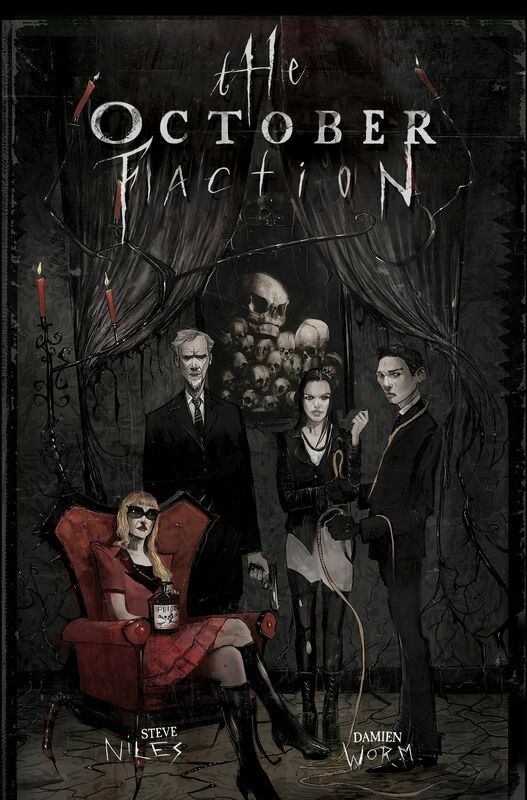 Created by Steve Niles and Damien Worm the October Faction follows the story of retired monster hunter Frederick Alan and his family which includes a thrill-killer, a witch and a warlock. According to Variety Damian Kindler is going to serve as the creator, executive producer, and showrunner of “October Faction.” He will also direct along with Director X, Megan Follows, and David Frazee. Niles, James Thorpe, Thomas Walden and Eric Birnberg will executive produce, with George Strayton and Melissa Blake co-executive producing. John Calvert and Mohamad El Masri will produce. High Park Entertainment will produce in association with IDW Entertainment. IDW Entertainment is the worldwide distributor for the series, excluding Canada.